How the London Landmarks Half Marathon came about! The idea of the London Landmarks Half Marathon was born in 2014 when baby charity, Tommy's embarked on a strategy to double the amount of money they raise annually from £4m to £8m. After evaluating the different fundraising options available to them, they decided that launching a new mass participation event was the best way forward. With their offices based in the heart of the City, Tommy's noticed a big gap in the market. A central London half marathon taking in the City and all of the captial's landmarks did not exist! 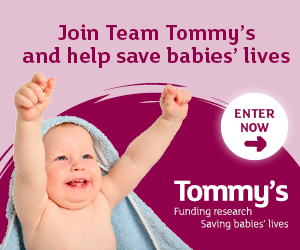 Tommy’s took the bold decision to pursue developing and launching a new central London half marathon to benefit both themselves, and many other charities too. THE GRAND. THE QUIRKY. THE HIDDEN. The idea being that the route would shine a spotlight on not only London's grand iconic landmarks, but also its quirky and hidden history and gems. Tommy's also wanted to use the route as a platform for bringing London's history to life and to celebrate London's wonderful culture and heritage.